Amazon’s annual competition for picking perfect robots that could one day work in the company warehouses crowned the latest champion in its robotic picking challenge. Competitors were asked to handle a wide range of products from toiletries to clothes and then evaluated on the basis of speed and precision in stocking shelves. The contest was won by a joint team from the TU Delft Robotics Institute in the Netherlands and the company Delft Robotics. The robot developed by Team Delft managed to pick items from a mock Amazon warehouse shelf at a rate of 100 per hour. The failure rate noted was 16.7%. Although its slow when compared to a human’s working rate, the robot was crowned for achieving a higher rate than last year robot, which was only 30 items per hour. Year after year the competition is becoming tighter and it is clear that Amazon is taking try-out for its own warehouses. However, the company insists that its intention is not to replace the human workers by robots. Amazon stated that since it bought robotics from Kiva in 2012 for $775 million, number of employees continued to grow. Towards the end of 2014 there were about 154,100 employees (full-time and part-time) and it increased to 230,800 towards the end of 2015. There 30,000 Kiva robots working in Amazon warehouses. They are squat, orange-colored machines which rush underneath shelves and lift the items up off the floor. Picking and loading items on the shelves accurately has proven tricky to automate at present. The annual contests aim at plugging this technology gap. The Delft team explains the working factor behind the champion robot is artificial intelligence. The researchers embedded deep learning techniques which enables the robot to churn through vast data to look for recurring patterns and to analyze 3D scans of the items it has to pick and replace. 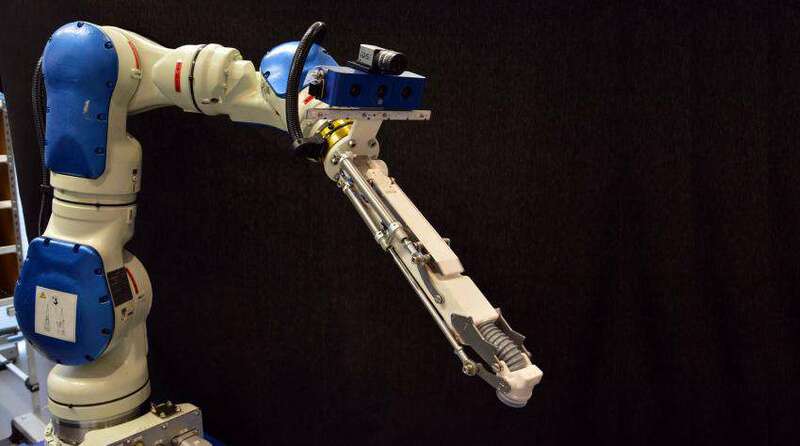 To the robotic arm, a custom gripper-suction arm was attached to do the actual mechanical work and the AI-powered software gave the robot an edge over the competition.